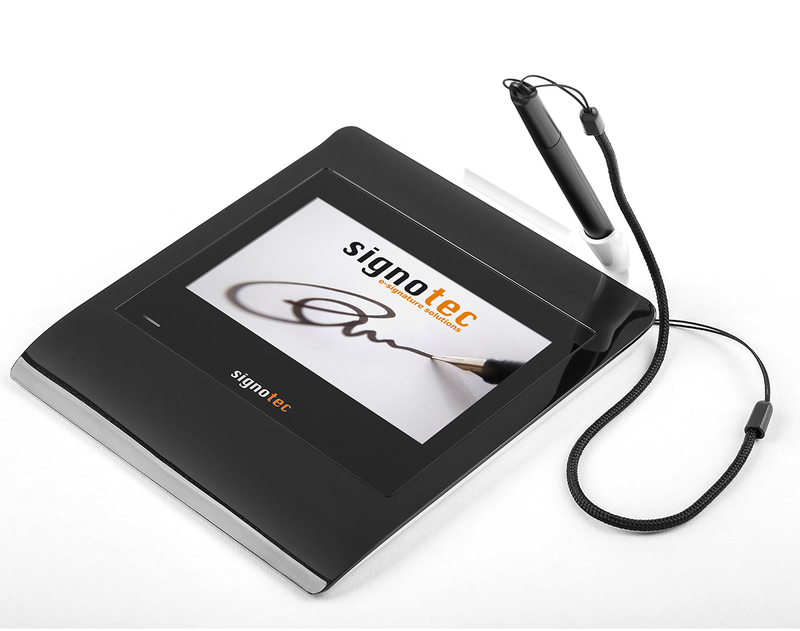 Description of the signature pad "Gamma" by signotec with a colour TFT screen. is an exceptionally compact device with dimension of only 160 x 172 x 10 mm and sets new standards in terms of design and functionality. The device charms with an curved shape with an excellent combination of pen and penholder that tilts favourably towards the signee. The unconventional sensor surface made of hardened special glass with ER technology and high resolution with full colour display guarantees the excellent quality and accurate signature capturing on the pad. 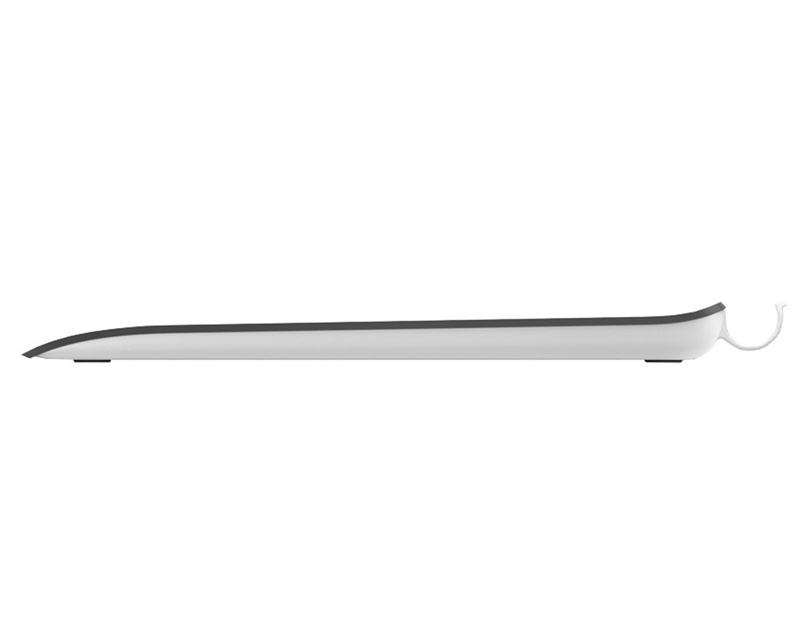 A device with remarkable design that is persuasive in both appearance and activity. 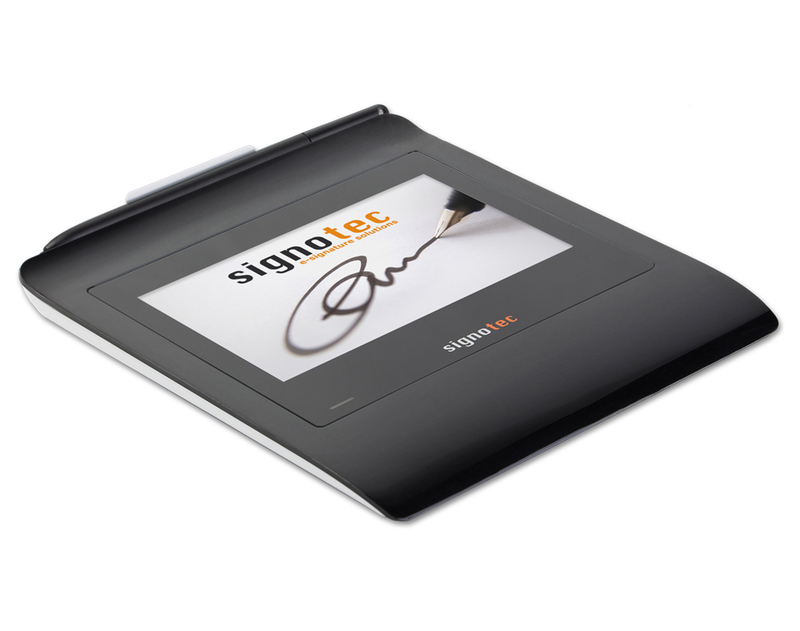 "Gamma" is the fourth electronic signature pad manufactured for capturing handwritten signatures in digitised form. This device was developed independently and combines 15 years of development, experience and competence. It is a very compact device with it external dimension being 145 x 167 x 10 mm and sets new standards in design and functionality. 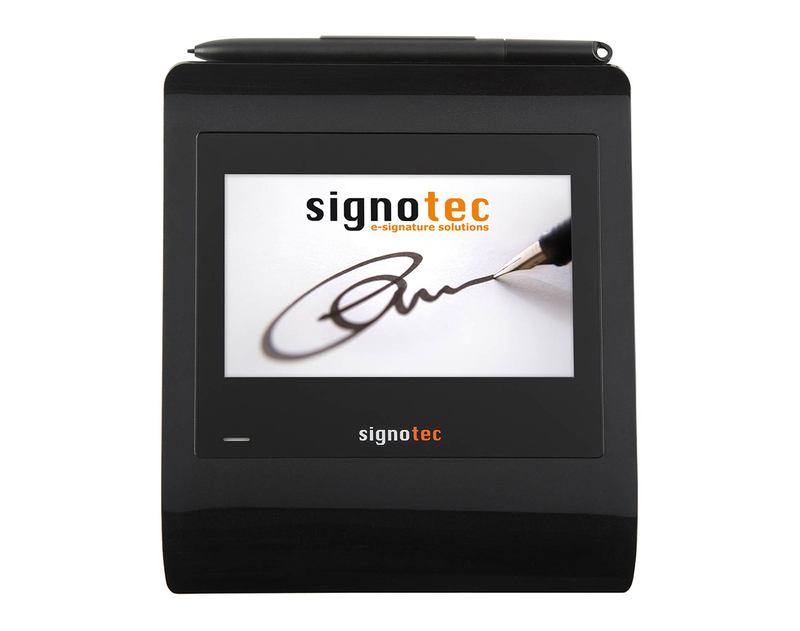 Gamma LCD Signature Pad has an architecture that makes it an ideal product for customers working in robust environment. The ultra-flat Signature Pad is convincing with its innovative sensor surface made of special toughened glass with ER-Technology. It has a high resolution full-colour display that makes he excellent display of graphic and text information possible. 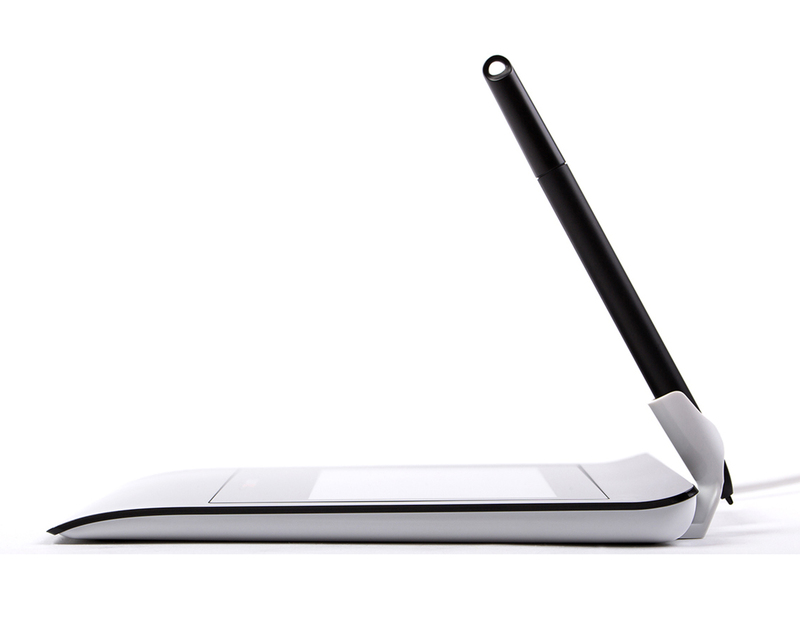 The device comes with a combination of a special pena and the sensor gives an experience similar to writing on a paper. This gaurantees outstanding quality of the signature; with the particularity, that even movements of the pen in mid-air can be captured. The special battery-less pen has exchangeable tips and can capture 1024 pressure stages. Gamma's manufacturing ensures an extremely long service life of 30million signatures and excellect durability with the strong safety. 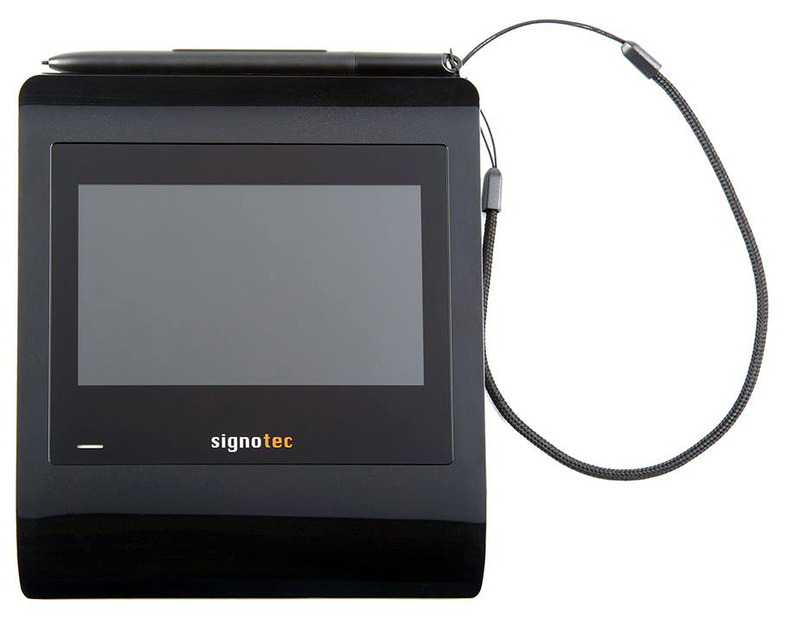 Gamma LCD Signature Pad also comes with an outstanding security feature like internal encryption of the biometric data via Public-Key inside it, just like Sigma, Omega and Alpha pads. The encrypted data transfers from Pad to PC via RSA. The procedures for the certificate-based signature of the e-document in the pad are unique. Thus, spying on the biometric data is just impossible. Due to the independent manufacturing of electronics, firmware, driver and applications this device has an ideal coordination between software and hardware. 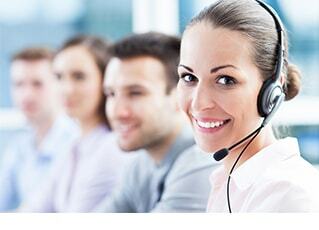 Gamma demonstrates the cutting-edge quality characteristics of the signotec products. Moreover, with the impressive integration capacity and the security of investments, signotec is soaring to new heights. 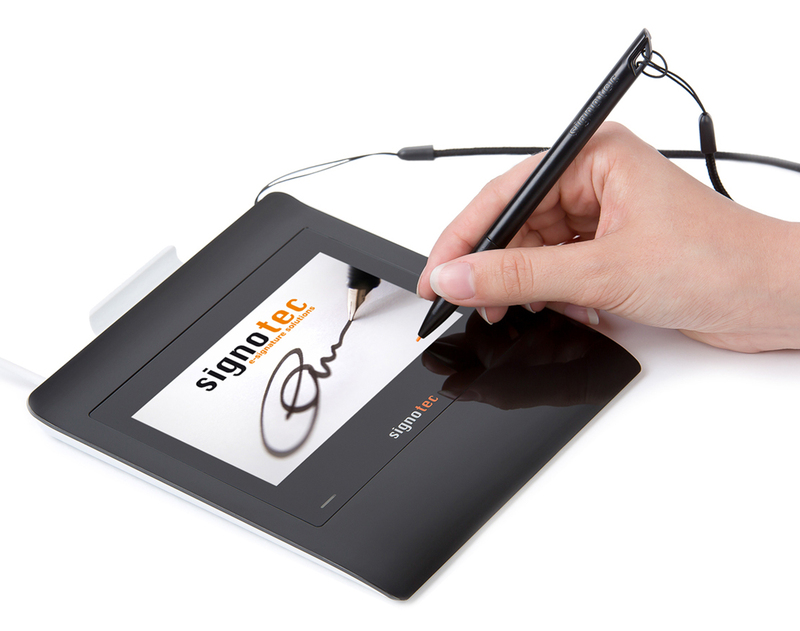 For the first time, all kinds of USB-connection methods of the signotec pads are available in one device; HID-USB, WIN-USB and virtual COM-Port; you can choose between all connection methods. For example, today the device can be easily connected to a PC via fast WIN-USB and tomorrow to a Linux-Thin-Client via VCOM or the other way round. The virtual COM-Port guarantees customers the highest possible investment protection, because they can switch the pad easily to USB at a later time, which is now possible due to the internal USB-switch. 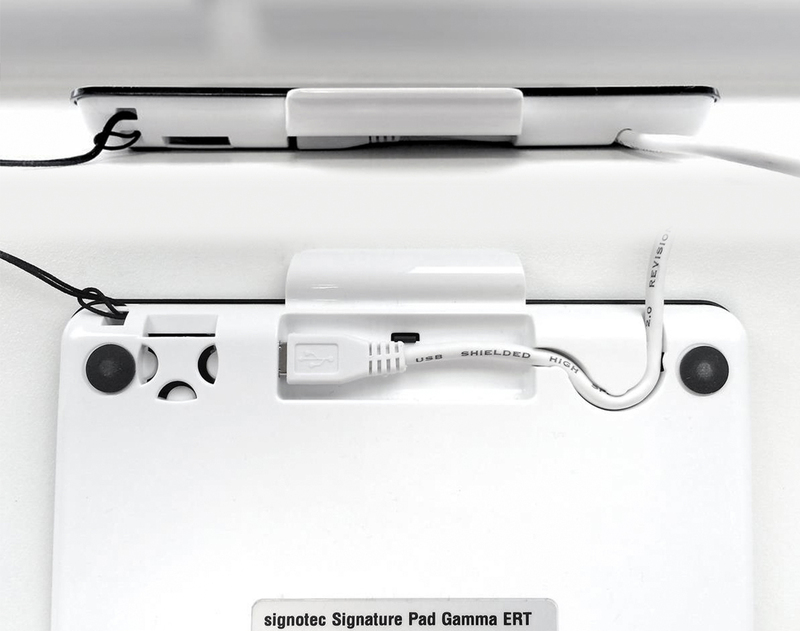 The signature pad Gamma has been awarded with the well-respected German Design Award 2016 in the category: “Excellent Product Design – Computer and Communication”. is an exceptionally compact device with dimension of only 160 x 172 x 10 mm and sets new standards in terms of design and functionality. The device charms with an curved shape with an excellent combination of pen and penholder that tilts favourably towards the signee. The unconventional sensor surface made of hardened special glass with ER technology and high resolution with full colour display guarantees the excellent quality and accurate signature capturing on the pad. A device with remarkable design that is persuasive in both appearance and activity." The German Design Award is awarded by the German Design Council that is Germany’s leading brand and design authority. Its mission is to present the latest developments on the German design scene. Established in 1953 as a foundation on the initiative of the German Bundestag. The foundation supports the economy consistently achieving brand value through design. This makes the German Design Council one of the world’s leading competence centres for communication and brand management in the field of design. In addition to business associations and institutions, the exclusive network of foundation members includes, in particular, the owners and brand managers of many well-known companies. The pad comes with a free of charge software package consisting of the signo PAD-API signoIntegrator, signoImager and MS Office AddIn which are available in the download area.